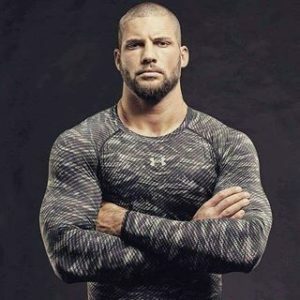 Florian Munteanu is a Romanian boxer, actor, and fitness model who stands 6 feet 4 inches tall and weighs 242 pounds. He has competed in Super Kombat as a heavyweight. He played Razvan in the 2016 film Bogat, and portrayed Viktor Drago: Drago’s son who is also a boxer, and Adonis’ new rival, in the 2018 sports drama film Creed II. Born on October 13, 1990 in Germany, into a family of sports enthusiasts, Munteanu was inspired by his father, who was an avid boxer and athlete. He received a Bachelor of Arts in 2014 in sports, media and event management from the University of Munich. *He was born on October 13, 1990 in Germany into a family of athletes. *He studied Sports, Media and Eventmanagement at the university of Munich. *He served as an ambassador for fight organization Super Kombat.